In this section you will be able to consult and download all the information bulletins published by the IAEC. 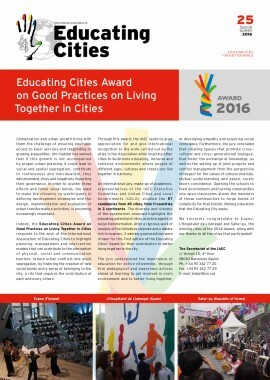 Special edition focused on the awarded good practices of the Educating Cities' Award, 2018. 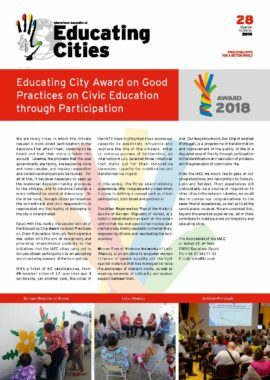 This edition contains, among other information, an interview with the Mayor of Sevilla (Spain), Mr Juan Espadas Cejas, and good practices from Munich (Germany) and Rosario (Argentina). This edition contains, among other information, an interview with the Mayor of Paredes (Portugal), Mr Celso Manuel Gomes Ferreira, and good practices from General Alvear (Argentina) and Changwon (Republic of Korea). 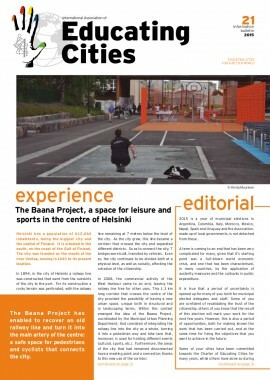 Special edition focused on the awarded good practices of the Educating Cities' Award. In the current edition you will find an interview with the Mayor of Caguas, Mr William Miranda Torres, good practices from Barcelona and Quito and other news. 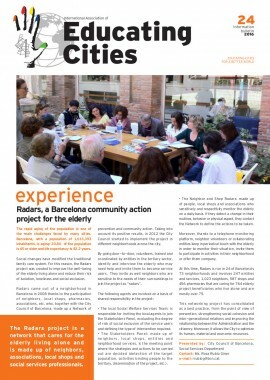 This edition contains, among other information, an interview with the Mayor of Santo André, Mr Carlos Grana, and good practices from Turin (Italy) and Torres Vedras (Portugal). 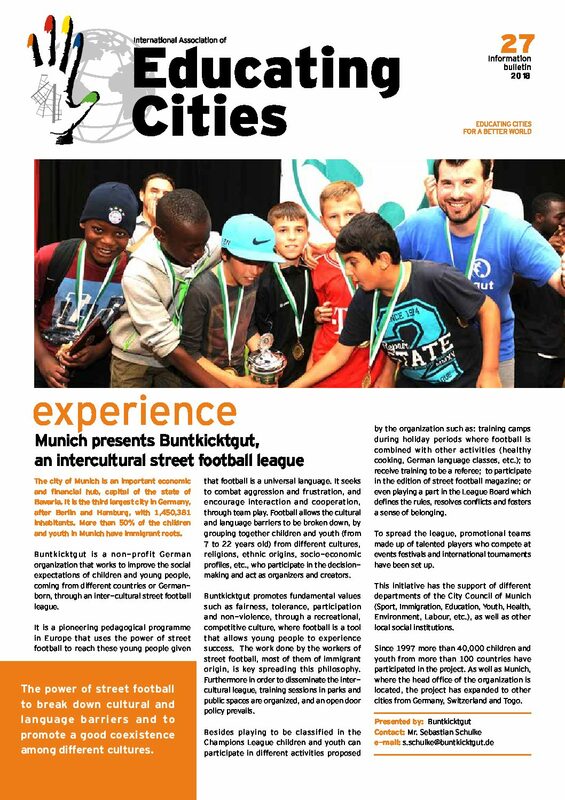 This edition has, among other informations, an interview with the Mayor of Rennes, Ms. Nathalie Appéré, and good practices from México City and Andong (Republic of Korea). 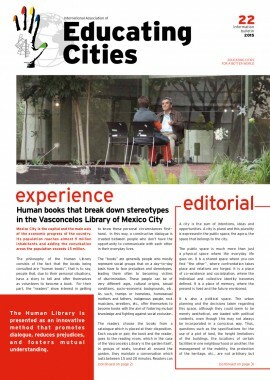 This edition contains, among other information, an interview with the Mayor of Munich, Mr. Dieter Reiter, and good practices from Helsinki (Finland) and Morelia (Mexico). 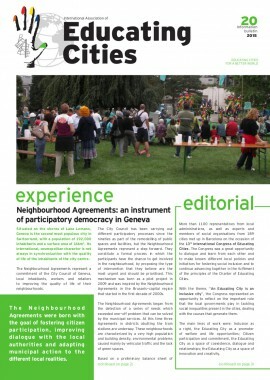 This edition contains, an interview with Mr. Xavier Trias, Mayor of Barcelona and IAEC President, and two good practices: The Neighbourhood Agreements, an instrument of participatory democracy of Geneva (Switzerland) and the programme from San Francisco (Argentina) You matter me that provides a new educational opportunity for teen mothers and fathers.